‘Fire and Gold’ blends eastern and western musical styles and features a number of languages including English, Spanish, Arabic and Chinese. The theme is the tests and difficulties of life, and the title comes from the Hidden Words of Baha’u'llah: “Busy not thyself with this world, for with fire we test the gold and with gold we test our servants”. The music is diverse and reflects influences from around the world. 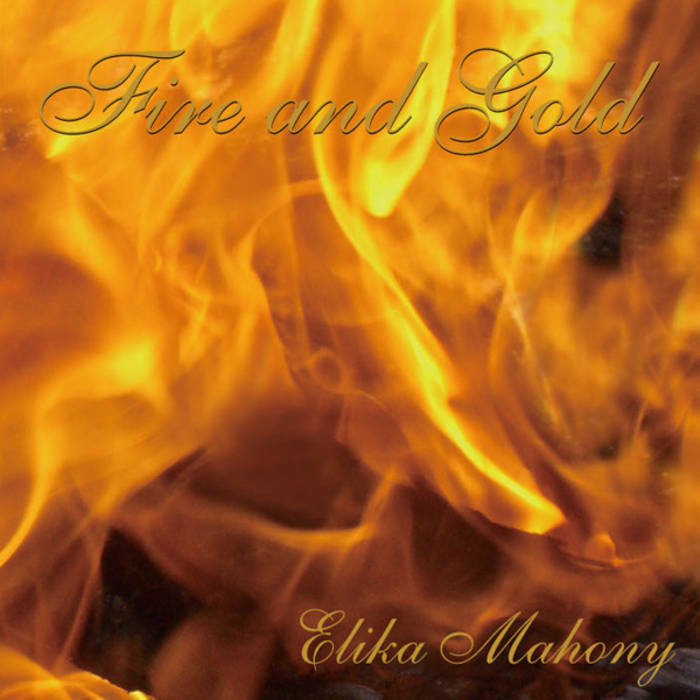 In addition to Elika’s piano performances, the songs also include a number of outstanding musicians on Celtic harp, Persian nay flute and santour, Spanish guitar,Chinese erhu, flute and cello.The result is a sophisticated, yet catchy fusion of progressive ideas with ancient, classic overtones layered with gorgeous melodies that has literally brought tears to many listeners. It truly eases the soul from the burdens of this earthly life and uplifts it with divine illuminations. -Bahá’u’lláh, Gleanings from the Writings of Bahá’u’lláh, CLIII, page 329. The knowledge of Him, Who is the Origin of all things, and attainment unto Him, are impossible save through knowledge of, and attainment unto, these luminous Beings who proceed from the Sun of Truth. Unlock the gates of true understanding and let the light of faith shine resplendent. -‘Abdu’l-Bahá, Bahá'í Prayers: A Selection of Prayers Revealed by Bahá’u’lláh, The Báb and ‘Abdu’l-Bahá, 2002, page 113. -Bahá’u’lláh, The Hidden Words, Arabic #39. -Bahá’u’lláh, The Hidden Words, Persian #12. Grieve thou not over the troubles and hardships of this nether world, nor be thou glad in times of ease and comfort, for both shall pass away. This present life is even as a swelling wave, or a mirage, or drifting shadows. -‘Abdu’l-Bahá, Selections from the Writings of ‘Abdu’l-Bahá, pages 177-178. -The Báb, Selections from the Writings of the Báb, pages 182-183. -Bahá’u’lláh, The Hidden Words, Arabic #52. -Bahá’u’lláh, Gleanings from the Writings of Bahá’u’lláh, CLIII, page 327. The world is but a show, vain and empty, a mere nothing, bearing the semblance of reality. Set not your affections upon it… The world is like a vapor in a desert, which the thirsty dreameth to be water and striveth after it with all his might, until when he cometh unto it, he findeth it to be mere illusion. -Bahá’u’lláh, Gleanings from the Writings of Bahá’u’lláh, CLIII, page 328. O Lord! Thou art the Remover of every anguish and the Dispeller of every affliction. Thou art He Who banisheth every sorrow and setteth free every slave, the Redeemer of every soul. O Lord! Grant deliverance through Thy mercy and reckon me among such servants of Thine as have gained salvation. -The Báb, Selections from the Writings of the Báb, page 193. ¡Oh Hijo de la Luz! Olvídate de todo menos de Mí y entra en comunión con Mi espíritu. Esto pertenece a la esencia de Mi mandamiento, por tanto vuélvete a él. -Bahá’u’lláh, The Hidden Words, Arabic #16. Armed with the power of Thy name nothing can ever hurt me, and with Thy love in my heart all the world's afflictions can in no wise alarm me. -Bahá’u’lláh, Prayers and Meditations of Bahá’u’lláh, page 208. -‘Abdu’l-Bahá, Bahá'í Prayers: A Selection of Prayers Revealed by Bahá’u’lláh, The Báb and ‘Abdu’l-Bahá, 2002, page 41. -‘Abdu’l-Bahá, Bahá'í Prayers: A Selection of Prayers Revealed by Bahá’u’lláh, The Báb and ‘Abdu’l-Bahá, 2002, page 132.